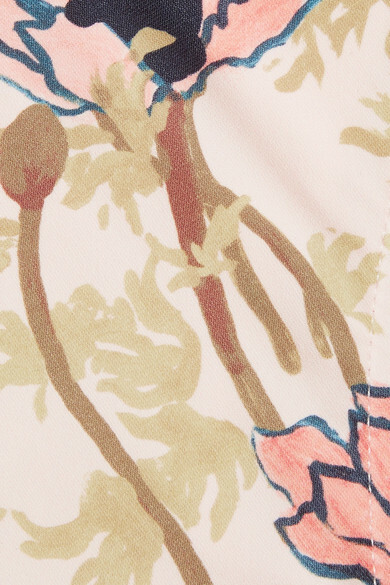 Tory Burch's bikini is printed with lush blooms in watercolor-like shades. It's made from an Italian fabric woven with four-way stretch to help keep its shape season after season and trimmed with flouncy ruffles. The low-rise briefs will minimize unwanted tan lines. Wear it with: Gucci Sunglasses, Monica Vinader Bracelet, Isabel Marant Bracelet, Alighieri Necklace, Sophie Buhai Earrings, STONE AND STRAND Ring.